We love climbing. From feeling the burn as you strain to master a new route to laughing with friends when you didn’t quite make a hold. Challenge, fitness, and community are brought together at the Bangkok F5 Climbing Center. Featuring everything from caves to top-out walls, from overhangs to straight climbs, and route difficulties of all levels, you can find the challenge that’s perfect for you whether you’re a beginner or have been climbing for years. But don’t take our word for it, grab a friend and come see for yourself. We can’t wait to climb with you. Most of the climbing done on-sight at our center is bouldering. Bouldering is rock climbing stripped down to the bare essentials. Leaving behind ropes and harnesses and using just climbing shoes and some chalk over thick safety mat flooring, the challenge is to climb short but potentially tricky routes just high enough to be exciting, but not dangerous. Rope and harness climbing may also be offered at the center for children and youth and for outdoor climb training. Bouldering is one of the best and easiest ways to start climbing: no ropes, no harnesses, no partner. No problem. You don’t need any experience to give it a try and our trained staff are always nearby to give pointers and tips. Plus FREE one-on-one training sessions are available to all members and one-day pass holders! All you have to do is contact us to set up your free session. F5 climbing members also gain free entry into any other training and classes that are conducted at the F5 Climbing Center. While indoor climbing is great, nothing beats escaping the city and putting some real rock under those climbing shoes. The F5 Climbing Center hosts a variety of adventure climbing trips for individuals and student school groups. Click here for a beginner’s guide to moving from gym to outdoor rock climbing. Check out our Climbing Trips page for more info! Equipment: Don’t have your own gear? We have you covered. 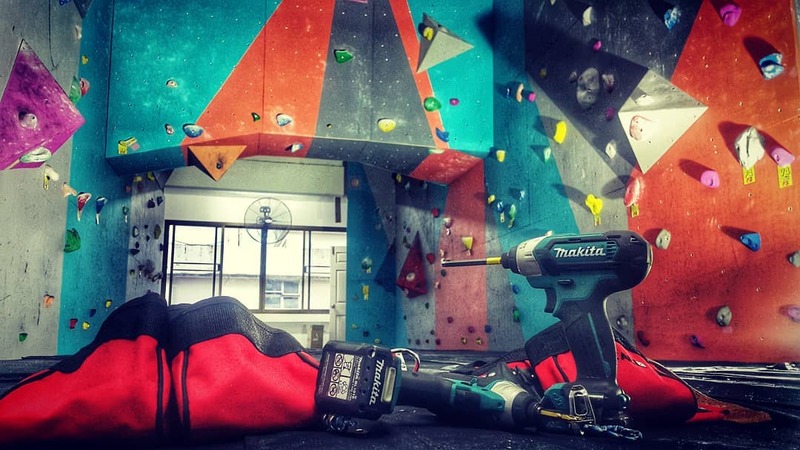 Day passes come with free climbing equipment rental and memberships have the option of a 200 Baht one-time equipment rental fee.